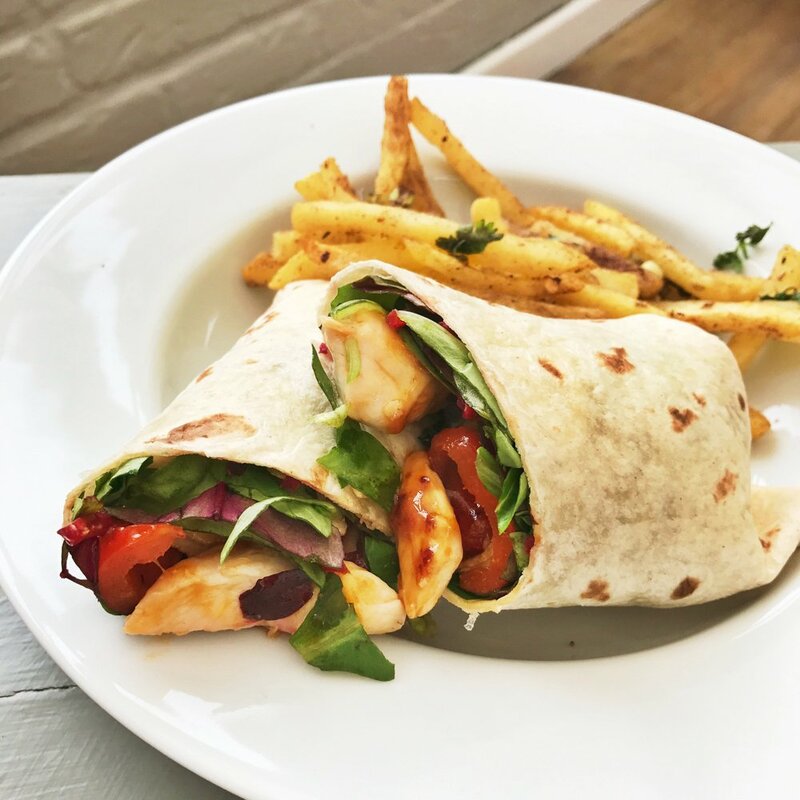 You’re just going to love these delicious sweet chilli chicken wraps. Not only are they really quick and easy to make, they taste amazing and when I make them here the kids love them and I’m guaranteed empty plates. Perfect for busy weeknights when you want something tasty but oh so fast. Totally delicious chicken dinner thats ready in less than 30 minutes. Add a drizzle of olive oil to a large frying pan or wok over a medium heat. Tip in the chicken pieces and pepper and stir fry briskly for 5 minutes. Add the sweet chilli sauce and continue to cook for a further 10-15 minutes until the chicken is completely cooked through and no pink remains. Make up the wraps - add salad leaves, add some sweet chilli chicken and peppers and wrap the tortilla. If you don’t like spice then skip the sweet chilli sauce and add a tbs of honey, maybe a tsp of wholegrain mustard for a little heat. Add more veggies – chunkily chopped onion or courgette work well. Skip the wrap and serve on rice. We love these with a side of homemade Chinese style salt and pepper chips. You could serve with some wholesome veggie rice. Perfect for quick and easy midweek dinner the kids will love.